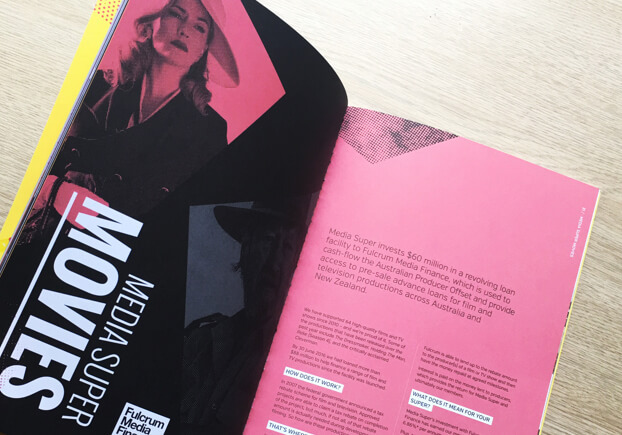 As the super fund for people in print, media, entertainment and the arts, Media Super is in the enviable position of having a highly creative and interesting member base. 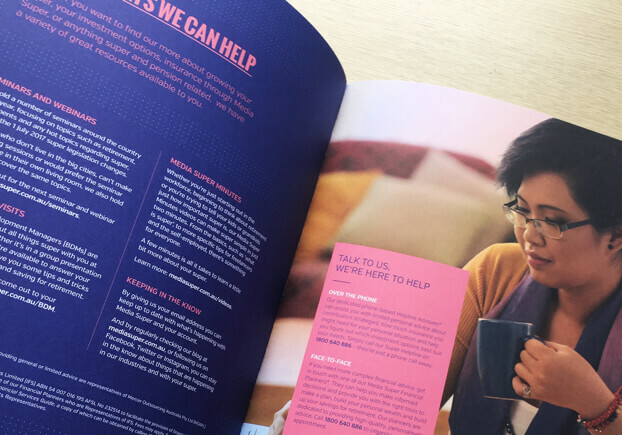 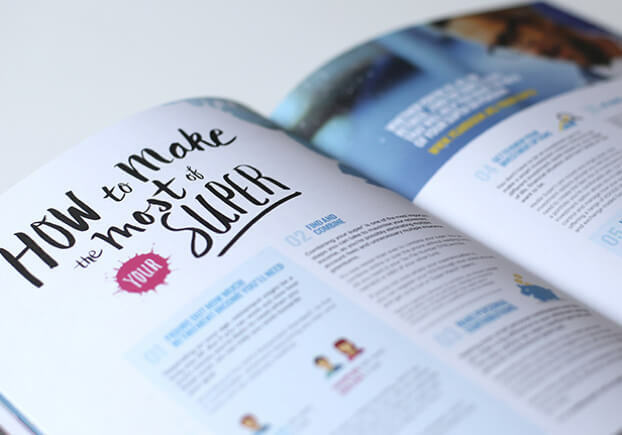 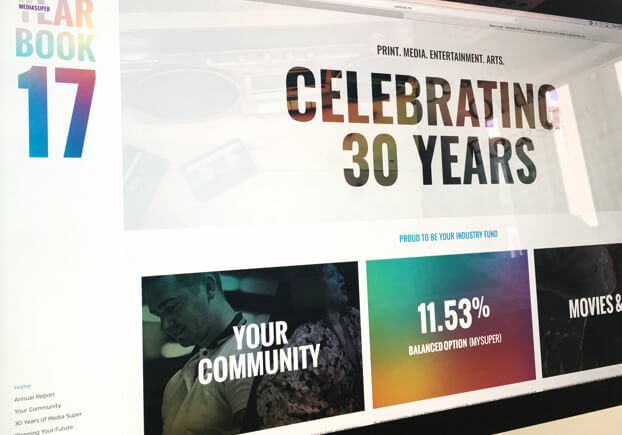 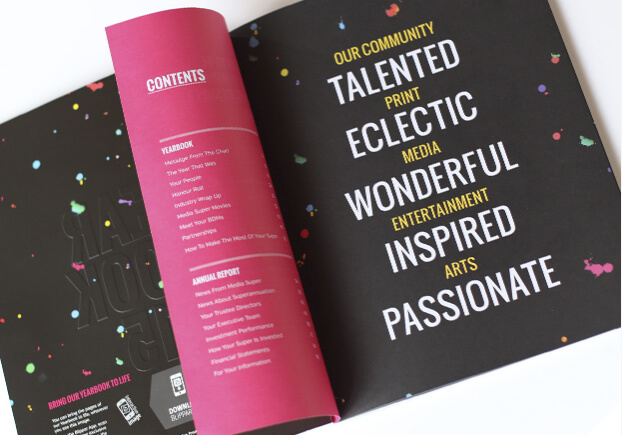 Their online Annual Report therefore provides the perfect platform to showcase their member’s diverse talents and stories, as well as reinforce the important message that Media Super is the right choice when it comes to super for creative people. 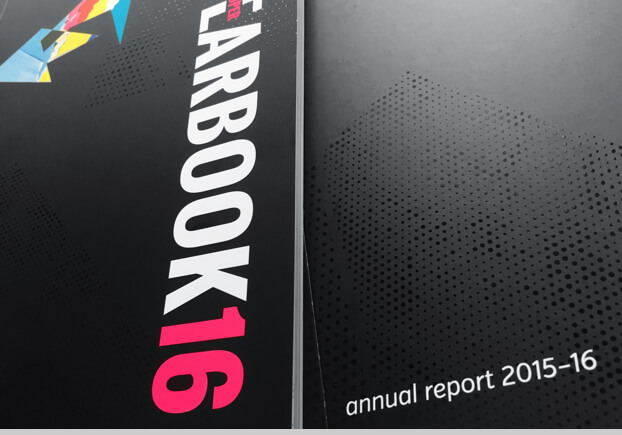 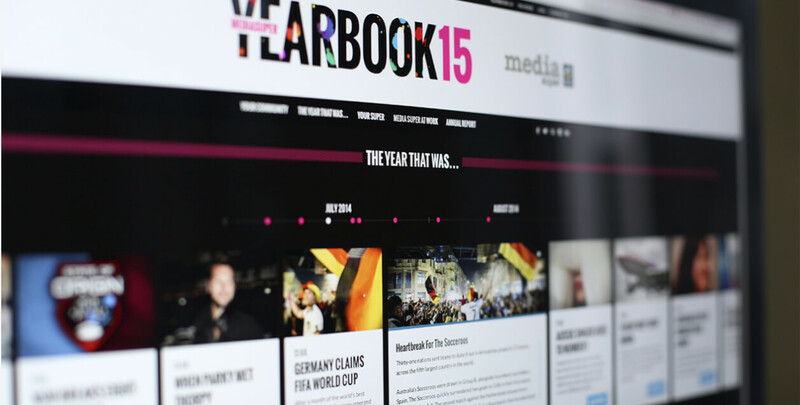 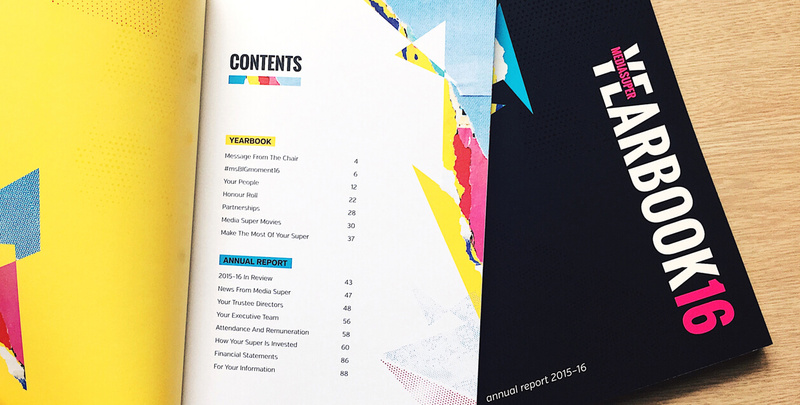 For the third year running, we delivered online and printed yearbooks for Media Super, with the printed version receiving Silver in the Print/Digital Campaign category at the National Print Awards.